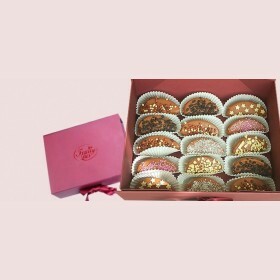 Fruity Lux Create and Deliver Same-Day Edible Fruit Gifts. Impress your clients by sending Fruit Flower Arrangement. We create incredible edible Corporate Gifts. Thoughtful, unique and heartfelt – our corporate gifts aren't like any others. Edible Gift Hampers are a great way to show your appreciation to Your clients & co-workers, as they deserve the very best.